Architects and consultants dealing with the esthetic aspects in the design of buildings and the design of projects. Architects and engineers offices, government and semi-government organizations, housing corporations, project developers/investors, contractors, suppliers. ArchitectuurNL has a unique editorial formula, aimed at Dutch architects and designers. ArchitectuurNL describes streams and trends in the Dutch architecture that really matter. Documents projects in residential, commercial and interior. 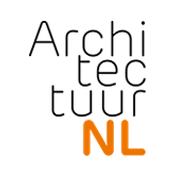 “Architectuur NL” is mainly focused on mainstream-architecture and projects from unknown and established talent, but always with love and craftsmanship for architecture. “Architectuur NL” also contains product information, books and internet sites, plans, projects and the agenda. Architecture in the Netherlands is ArchitectuurNL. Market position Subscribers of “ArchitectuurNL” are found in the upper echelons of the largest business organizations. It is used especially by major clients, designers and main contractors as an information source.